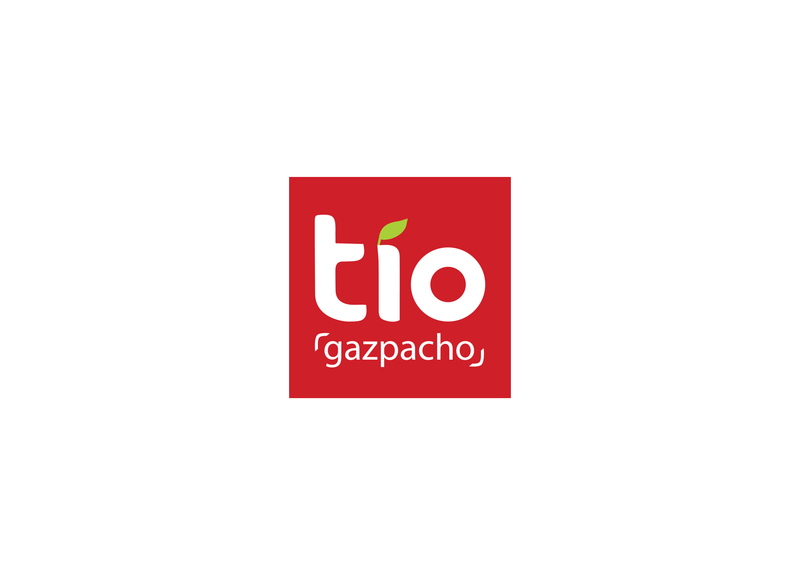 Tio Gazpacho is the first of it’s kind in the market. The Spanish gazpacho is bottled in juice bottles so you can drink your cold soup on-the-go. The logo design reflects the brand. The dot in the “i” is modified to show a leaf, a symbol of all the delicious vegetables that are inside the soup. Equally significant is that the leaf also symbolizes an accent that you find in the Spanish language. The logo is bold, modern, and versatile. The brackets around the gazpacho accent what is inside—yummy gazpacho! !